Dopt issued the record Note of the meeting of the Standing Committee of National Council (JCM) held on 7.5.2014 to all members of the Standing Committee of NC JCM. The undersigned is directed to forward herewith a copy of the Recrod Note of the meeting of the Standing Committee of National Council (JCM) held on 7th May, 2014 for information and necessary action. 1. A meeting of the Standing Committee of the National Council (JCM), was held on 7.5.2014 at 11.00 AM in Conference Room No 119, North Block and was chaired by Dr. S.K.Sarkar, Secretary DOP&T. A list of members who attended this meeting is at ANNEXURE I. 2. The Chairman welcomed all members of Official and Staff Side of the Standing Committee and conveyed condolences on the demise of Late Shri Umraomal Purohit, who was Secretary of the Staff Side for more than three decades. He mentioned that the 7th Pay Commission since set up by the Government was an opportunity for all stakeholders to take part in its deliberations in a constructive manner. The Chairman concluded by expressing the hope of continued support from staff organizations in this regard. 3. The Leader, Staff Side, while thanking the Chairman raised the issue of non-regular functioning of the Joint Consultative Machinery which was a cause of concern. He pointed out that in spite of DoPT instructions, Departmental Councils were either not functioning or have not been constituted in many Departments. He stated that JCM is always cooperative. He mentioned that anomalies of 6th CPC are still unresolved and 7th CPC may not go into the anomalies of 6th CPC like in past. He referred to the meeting of the Joint Sub Committee on MACP held on 27th July 2012 and mentioned that though it was assured that the pending cases will be looked into positively, the proposals are being sent back. There are instructions of DoPT that MACP is a fall back option and that Cadre reviews should be done in the justify earnest; it was noted that the Cadre Restructuring proposal of the Defence civilian staff was returned by the authorities on the plea that 7th CPC has been set up. 5. The Secretary, Staff Side, in his opening remarks thanked the Chairman for calling this meeting of the Standing Committee and stated that it is a good start and expressed the hope that the National Council (JCM) meeting would also be held soon. He suggested that decision making needs to be decentralized. He stated that in the case of Railways, even though there is a Financial Commissioner who takes part in the meetings of the Departmental Council, even then decisions of Departmental Council are sent to DoPT and Dept of Expenditure for finalisation. He stated that only exceptional cases need to go to DoPT/ Deptt of Expenditure. He further mentioned the issues referred by the Railways relating to running Staff, Accounts, MACP particularly issue of hierarchy of 2000 Grade Pay and stated that the issues unanimously agreed in Departmental Council/JCM are pending for a long time in Ministry of Finance or DOPT. He further mentioned that while implementation of Cadre Review of Railway Staff the concept of matching saving is being enforced which will jeopardise safety of railways and will increase workload an existing staff. He requested for a clarification from Ministry of Finance (Department of Exp) as to whether they had issued any such instructions to Railways. He further mentioned that as per their understanding, Ministry of Finance (Department of Exp) has allowed CRC without matching savings in all the Central Government Departments. 6. The Secretary, Staff Side stated that all the pending Cadre Review proposals should be finalized and should not be held up on account of setting up of 7th CPC. Similarly, he requested that the left over items of Anomalies should be discussed in a meeting of the National Anomaly Committee so that there is closure with proper reasoning and logic. He also suggested that like in Railways there should be a Calendar for Standing Committee and National Council meetings. He also referred to letter written by him to the Chairman on why lower level employees are forced to go to the Court for the redressal of their issues when issues can be resolved under the JCM. He also stated that it would have been better if TOR for the 7th CPC had been discussed with the Staff Side before finalizing. He made reference to Sh U M Purohit on this occasion and expressed hope that he will try to do justice with hopes of Staff Side and also sought the cooperation of official side to resolve the problems of Central Government Employees to keep industrial peace. 7. The other Staff Side representative also raised certain issues in their opening remarks. The representative from Defence raised the issue relating to erstwhile Group ‘D’ Posts in the Category of Industrial and Non-Industrial which were upgraded and merged as Semiskilled and MTS by 6th CPC w.e.f. 1.1.2006. DOP&T later clarified that such merger is effective from 01.09.2008, thereby denying the ACP benefits due to them after 1.1.2006. 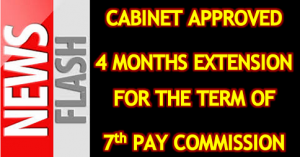 The issue relating to Night Duty Allowance for employees working in Defence Industrial Establishments where the Hon’ble Supreme Court has upheld the ruling of CAT that NDA rates should be revised from 1.4.2007 in 6th CPC Pay scale and applied to similarly placed employees was yet to be implemented. Cadre restructuring proposals pending with Ministry of Defence, DOP&T and Deptt. of Expenditure should not be returned back on the plea that the 7th CPC has been constituted. Risk Allowance rates of the Defence Civilian employees which have not yet been revised may be revised urgently. It was also brought out that for the past 3 years no meeting of the Departmental Council (JCM) of the Defence Ministry had taken place. Similarly, last Departmental council meeting in Ministry of Finance was held in 2005. 9. Thereafter the Agenda Items were taken up for discussion. Since Agenda Items No 1,2 and 3 on Terms of Reference of the 7th CPC, date of effect of the recommendations of the 7th CPC from 01.01.2011 and merger of DA with pay were interrelated, these three items were taken up for discussions together. 11. On the issue of merger of DA with pay he pointed out that the 6th CPC in its Report had specifically recommended against it. As to the inclusion of a representative of labour in the composition of the 7th CPC is concerned, the composition of the 7th CPC was broadly in line with the composition of the previous three Central Pay Commissions and Government did not want to make it unwieldy. So far as the issue relating to Pensioners is concerned, the same has been amply included in para (f) of the ToR. 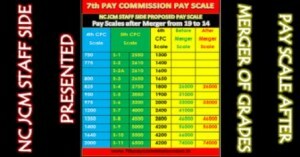 As regards the pay anomalies, the same would be considered by the 7th Central Pay Commission as part of its overall ToR. Since the terms of reference enable the CPC to send interim report, Secretary (Expenditure) suggested that the Staff Side might approach the 7th CPC for a report on Interim Relief and Merger of Dearness Allowance. 12. The Staff Side mentioned that the 5% ceiling on compassionate ground appointment was illogical; due to this ceiling, a large number of cases of appointment on compassionate grounds have been pending in different departments, with the result that the bereaved families of the late employees are constrained to face hardship due to loss of bread winner. They wanted that condition of 5% ceiling must be done away with. It was mentioned by them that in Ministry of Defence vacancies under compassionate appointments are worked out by not taking into account vacancies of uniformed personnel whereas while appointing the wards of deceased Service Personnel on compassionate grounds, the vacancies of civilian side are also taken to adjust Service Personnel. The Staff Side also mentioned that pending a final decision, one time relaxation of 5% may be given and all pending cases of compassionate appointment may be considered. 13. The Official Side stated that the issue of enhancing the upper ceiling of 5% / doing away with the ceiling of 5% altogether, has already been considered in this Department keeping in view the various judgments of the Supreme Court on the subject. It was observed that care has to be taken that provision for compassionate employment which is in the nature of an exception does not unduly interfere with the justify of those other persons who are eligible to seek appointment against the post which would have been available, but for the provision enabling appointment being made on compassionate ground of the dependant of the deceased employee. The Supreme Court has held that as a rule, appointments in the public services should be made strictly on the basis of open invitation of applications and merit and compassionate appointment is an exception to this general rule. 14. The Staff Side made reference to Railways, which employs the largest number of personnel and where this ceiling is not applicable. They also pointed out that every department has a Screening Committee to consider applications and only those cases which are recommended by the committee are taken up for compassionate appointment The official side indicated that this issue has come under examination in the Parliamentary Committee and it has been decided to collect requisite information in implementation of the scheme from all Ministries/Departments and thereafter the whole issue will be examined and reviewed. It was also mentioned that this is a part of the RFD item for this Ministry. 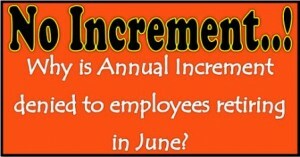 Item No 6 Downsizing, Outsourcing, Contractorisation etc. mentioned that regular nature of jobs were being out sourced in violation of Contract Labour Regulation Act. In Defence establishments, the Staff Side stated that more than 30% employees were on contract who were being exploited as labour laws were not being strictly enforced. Further, there were issues of safety hazards and maintenance of assets created in sectors like Railway and Defence. It was therefore suggested by Staff Side that the present scheme of outsourcing and contractorisation of essential functions of the Government must be abandoned and all the regular and perennial nature works should be entrusted on regular Government employees only and violation of Labour laws should be examined. 18. The Staff Side raised the issue of revision of Overtime Allowance and Night Duty Allowance which is paid to Government employees who are called upon to do overtime or night duty on the basis of the 4th CPC pay structure. They referred to the Board of Arbitration award in favour of the staff which directed the Government to revise the order to link the payment of Overtime Allowance and Night Duty Allowance to the actual pay of the Government employees. They demanded that the Government must accept the award of the Board and issue instructions linking the Allowance to the actual pay of the employee. 19. The Official Side stated that the awards on Overtime Allowance and Night Duty Allowance were considered by the Government and it was decided by the Government not to accept these awards in view of large estimated financial implication. Further, the 5th & 6th CPC had also suggested abolition of OTA and the Government had decided to maintain status quo at the existing rates till the introduction of Performance Related Incentive Scheme (PRIS). It was suggested that this issue may now be examined by the 7th CPC. 20. 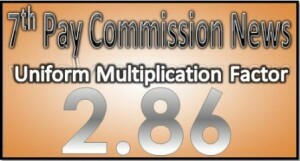 On this issue the Staff Side referred to the discussions in the National Anomalies Committee where after discussions it was agreed by both the Staff Side and the Official Side that wherever there is a provision of direct recruitment in the Recruitment Rules, pay on promotion would be fixed at the prescribed minimum of the Entry Pay as provided for the Direct Entrants in the Revised Pay Rules, irrespective of the fact whether direct recruitment has actually taken place or not. The Staff Side stated that non implementation of this agreement in National Anomalies Committee was a serious issue which has resulted in discontentment among the senior promoted employees. The Staff Side insisted that orders need to be issued to give effect to this agreement. 21. 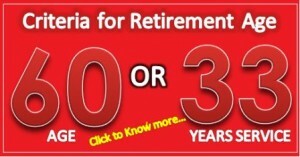 The Official Side stated that this issue was considered by the Government very carefully and the Government has agreed to stepping of pay of seniors, if their pay happens to be lower than junior direct recruits joining on or after 1.1.2006, if both senior and junior belong to the same seniority list. It was also brought out that since this issue is presently sub judice it may not be possible to consider the issue at this stage, pending an outcome of the Court cases. The Staff side insisted to implement the agreement and stated that if Government agrees for the same the court case can be withdrawn. Staff side insisted that this matter should again be referred to Finance Minister for consideration. 22. The Staff Side in their Note had indicated that under the Modified Assured Progression Scheme(MACPS) there are cases where the seniors who were promoted before implementation of the MACPS and the juniors who could not get normal promotion due to non-availability of vacancy or otherwise, and were extended the benefit of financial upgradation under MACPS on fulfilment of conditions laid down therein, the seniors are drawing lesser pay than their juniors under this scheme which is causing sense of frustration among the seniors. 23. 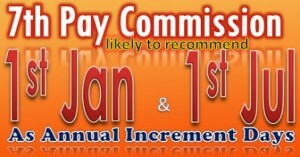 The Official side stated that under the MACP Scheme no stepping of pay in the pay band or grade pay is admissible with regard to junior getting more pay than the senior on account of pay fixation under MACP Scheme as financial upgradation under the MACPS is personal to the employee; it was however decided that to mitigate the instances of senior employees who got benefit under ACP Scheme prior to 1.1.2006 and were drawing less pay than their juniors who got benefits under ACP Scheme after 01.01.2006 (i.e. 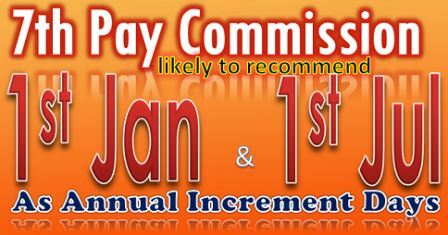 between 01.01.2006 to 31.08.2008) to allow stepping up of pay in cases where the senior, but for the pay revision on account of 6th CPC would have continued to draw higher pay subject to certain conditions, vide this Department’s OM No. 35034/1/97-Estt. (D) dated 04.10.2012. Barring this situation, no stepping up of pay is allowable in the MACP Scheme. 24. 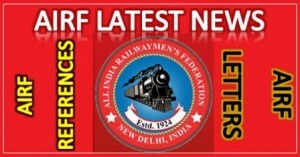 The Staff Side stated that though additional pay with appropriate Dearness Allowance has been granted in favour of Loco Pilot, Sr. Motorman Loco Pilot, Motorman and Guard on the basis of recommendations of the 6th CPC, but the same has not been granted to rest of the Loco Traffic Running Staff, causing great injustice to these set of Loco & Traffic Running Staff. They demanded that the Additional Pay should be granted in favour of all other categories of Loco & Traffic Running Staff. Staff side mentioned that a unanimous proposal for Additional pay to Loco & Traffic running Staff driving goods trains has been sent to MOF(Exp.) is pending since long. 25. 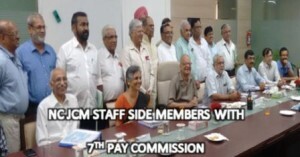 The Official Side stated that the Sixth Central Pay Commission had examined the demands of various categories of employees relating to their pay structure and allowances & formulated their recommendations as a package. Since, Sixth Central Pay commission has not recommended grant of additional allowance to other categories of Loco and Traffic running staff, the same cannot be extended to all other Loco and Traffic running staff. 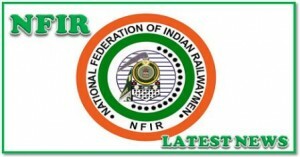 It was decided that Ministry of Railways may separately examine the issue in consultation with the Department of Expenditure for early finalization. In the end, the Chairman thanked the participants for very stimulating and frank discussions. The meeting ended with a vote of thanks to the Chairman. List of Participants in the Meeting of the Standing Committee held on 7th May, 2014 at 11.00 AM in Room No. 119, North Block, New Delhi.